Like every year, a lot of phones will be launched by Motorola in 2019. There are going to be four phones in the Moto G7 series, a couple of phones in the E series, some phones under the Motorola One series and the Moto Z series. 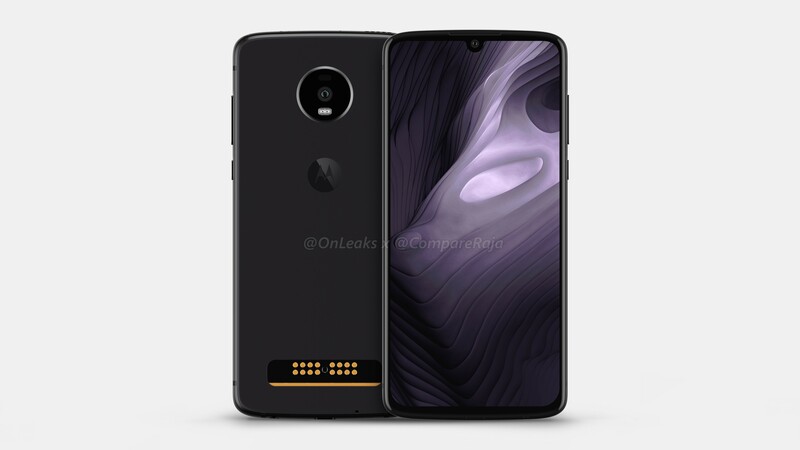 Today, OnLeaks gave us the first look at Moto Z4 Play (this is going to be the name if the company sticks to its naming) and this phone doesn’t look very different from the previous generation except for a few changes. 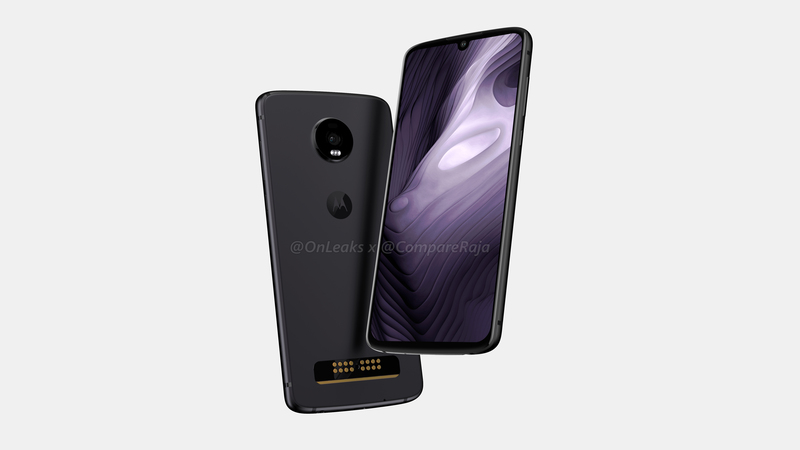 Also, the CAD renders reveal that Motorola is still sticking with its Moto Mods and this year’s Moto Z phone will support them as well. The most significant change this year regarding the design is going to be on the front. So, unlike the Moto Z3 Play that was launched with an 18:9 display, the Moto Z4 Play has an edge-to-edge design and a small waterdrop notch on top for the front-facing camera. Also, the chin on the bottom is pretty small, as seen in the CAD renders. Apart from this, the rest of the design remains unchanged. So, there is still a single camera on the rear placed in a circular camera module. Motorola hasn’t changed the design of the camera module to make sure that all the previous Moto Mods are compatible with the newer phones. Talking of Moto Mods, the connector pins are placed on the bottom where they always belong on all the Moto Z phones. If you notice, the fingerprint scanner is not placed on the rear. 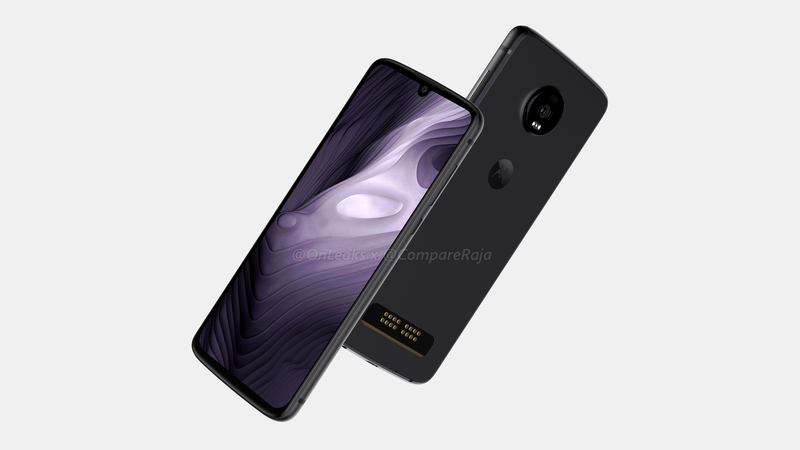 Unlike the Moto Z3 Play, it is not on the side as well. So, it will be safe to assume that the Moto Z4 Play has an in-display fingerprint reader. The Z4 Play still has the headphone jack, and it is placed on the bottom, along with the USB Type-C port. Unlike most of the smartphones that have the speaker grill on the bottom or the front, the Moto Z4 Play has it placed on the top which is unique. So, that’s all about the design revealed by these CAD renders. The dimensions are 158 x 75 x 7.25 mm and the phone is 9.4mm thick at its maximum, i.e., including the camera bump. There is no information about the specifications yet so stay tuned for that.